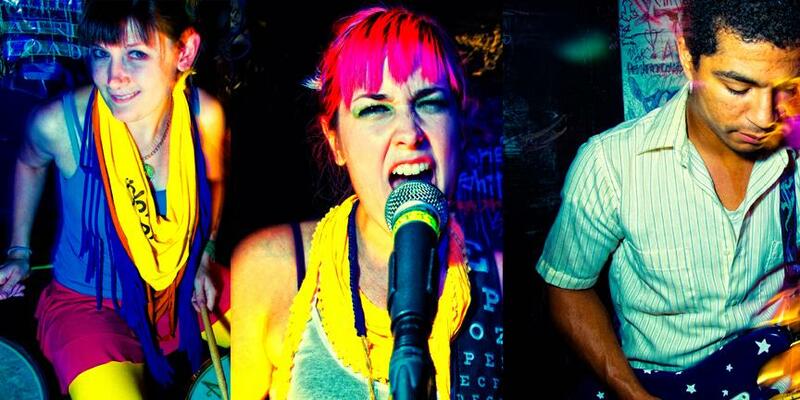 “Bobbie Parker, lead singer/bass player, name’s names and takes no prisoners…. With her older sister, Jaime, by her side and challenging the world there’s nothing this 3-piece can’t do. “Bobbie and I are still learning to play our instruments,” admits Jaime Parker of the Timid Roosevelts. “With each song we write, I find that we’re getting more musically complex.” Some bands have an aura of cockiness and otherworldly pomp. Instead, the Borden-town, NJ-based Timid Roosevelts don’t deny that they are just getting started and there’s a lot to learn. They come from Bordentown, New Jersey, a suburb of Trenton. They play a ton of small venues around New Jersey and Pennsylvania. Bobbie Parker handles the bass guitar and vocals. She writes most of the lyrics and sounds a lot like Jenny Lewis. The Bordentown janglers, whose twee-pop cuddle-core broods in childhood wonder, tell On The Beat that they’re working on a second EP. In the meantime, they’ve picked up a few gigs outside of Central Jersey – landing in Asbury Lanes (209 4th Ave., Asbury Park) tomorrow night. We like the wicked nursery rhyme attitude found in the lyrics and the guitar buzzery at that moments when the trio just plain old rock out. The soft quirk in the lyrics reminds us of Kimya Dawson. Show starts at 8. TV Tramps and Toys In Trouble play, too. 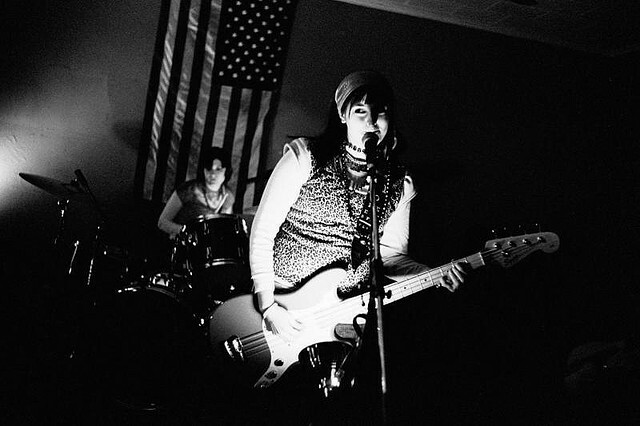 The Timid Roosevelts are a 3 piece consisting of two sisters, and one dude Last summer, i had the pleasure of mixing the tracks that are currently up on their myspace. Their songs can boast being totally adorable and heart warming, but at the same time they have a very subtle viceral quality due to the nature of their instramuentation. A personal favorite track of mine is “cassandra”, singer Bobbie Parker cures the soul with her exceptionally smooth brand of vocal stylings, and she can totally rap. Go check out the song sleep deep which features Alec Gabin on the rhodes. …THEN as the perfect contrast on the other side of the punk-spectrum the TIMID ROOSEVELTS, grooved us to death, almost sounding like a pez-dispenser joy division on some of their new, unrecorded tracks. Matching uniforms, great minimalist drumming and kickass vocals/ lyrics. And Ricky on bass. Best set I’ve ever seen them play. Cute. Quirky. Kind of tired of describing the Parker sisters’ indie pop outfit as quirky and cute. Shoot. Did it again. How about eccentric Bordentown sisters churn charming shy-and-sly college pop with a bashful-by-the-bunches melodic nature? That’s better. Fun for fans of Los Campesinos!, Tegan and Sara and adult trick-or-treaters. The gang’s smile-a-minute road show hits Championships Sports Bar and Grill (931 Chambers St., Trenton) Sunday afternoon. The benefit show starts at 2. Static Radio, Full Of Fancy, Lemuria, The Sirs, Post No Bills, The Tea & Whiskey, Curious Buddies and Radio Exiles play, too. 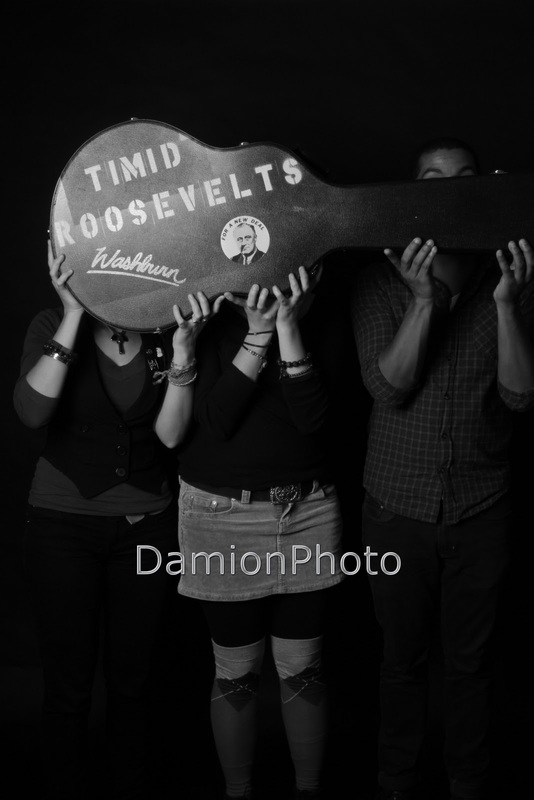 The Timid Roosevelts | Photo Gallery The Timid Roosevelts play loose and lovely lo-fi indie pop that I go nuts for. They were 1 member down tonight (he was at Metallica) so I’ll have to catch them again when they play as a full ensemble. I grabbed a copy of their demo CD and I’m definitely picking up hints of Rilo Kiley and Sleater-Kinney. I’ll be keeping an eye out for when they release their debut LP. The Parker sisters, two beauties from B-town, play darling indie pop like The Metric, but with fuzzy guitar buzzing and xylophone. They’re also on the new Honah Lee record and will be with the gang at Joe’s Mill Hill Saloon (300 S. Broad St., Trenton) at 9 p.m. Wednesday. Pop-punks I Know the Struggle will be there, too.